+ minneapolis star-tribune: looks like a little free speech goes a long way ... the dixie chicks break attendance records. + doctor's guide: aspirin as effective as ticlopidine in african american antiplatelet stroke prevention study. i worked the original 'rollout show' for ticlopidine; the benefits over aspirin were pretty slim, if my memory is correct, and we had to play up the meagre advantages. this should be no surprise to anyone in the industry, and will probably widen as further studies are done. "re: the ticlopidine study. it's one of the reasons we no longer use ticlid (and haven't for a year or two now). poor g.i. tolerance and not enough of an advantage re:cost/benefit. we now use clopidogrel now; all around better results, better tolerated, and it can be loaded rapidly with oral dosing sans stomach upset." "one more thing, g - the ticlopidine study isn't over, and it is only measuring one agent versus another. monotherapy is fine in a clinical study, but i like combo therapy - knocking out a couple of legs of the clotting chain, rather than only one - if i was at risk for stroke or m.i. see also dual antiplatelet therapy: ongoing studies with antiplatelet therapy." minor tweaks to alwin's text to keep everything my trademark lowercase. + pakistan daily times: the danger of ignoring congo. inaction is not an option. + cnet: bell tolling for png graphics format? + nj.com/ap: hispanics want new mexican governor bill richardson to chair democratic national convention. i'm tellin' you, old hollywood bill is lining himself up for the '08 ticket. + nature: william morris used arsenic-based green pigments in his wallpapers. interesting, that napoleon may have died from 'wallpaper exposure.' hindsight, ain't it great? + camworld turns six. yowzer. i guess the consumption of siberian reindeer burgers gives you that 'stick-to-it-iveness' ... congrats, cam. + ny times: never underestimate worthy citizens who survived a kleptocratic dictator. + i see wordpress [formerly b2] experienced an update on the 9th. + wired: building a better tivo. yourself. + slashdot: a blog with unlimited bandwidth. + new scientist: water has memory? jury is still out, but homeopathy might have a verifiable basis if this is true. + ny daily news: trent lott will also write a tell-all book. no mention of a 'tell-all' about the hair, though. + femail.co.uk: "a tax upon your pies!" a sort of tobacco-tax approach to fattening, unhealthy food. britain, not america. later: good thing renée zelleweger's got $15 mill, eh? + ctv.ca: tales of self-amputation seem to have become a newsworthy item, since the young man's act in the rockies. + the 'north korea' section of my aggregator is a bleeding ghost town. anything happening? + weekly standard: "you've got spam." linked because of that third-from-last paragraph. is the internet like an untended, unweeded garden? to be honest, after days away, it certainly seems so. + the new yorker: on helen keller. + washington post: architect michael graves ill. and it is truly a tiny, stone, historical home in princeton ... on nassau street. i know it well. + sf gate: beauty's importance. + ny times op-ed, friedman: read my lips. "... a man who is not putting money into your pocket, but who is removing government services and safety nets from your life." + ny times guest contributors: judicial ideology matters. + ny times: civil rights pioneers mark 1963 showdown. true equality hasn't yet been achieved; never forget the pioneers. + ny times: adieu, concorde. + ny times: chocolate, at the american museum of natural history. + santa fe new mexican: the hilton of santa fe has a natural-gas powered microturbine. using both electricity and heat efficiently. + reuters: dig finds no temple at indian holy site. + it's going to take me some time to get back into a semblance of blogging rhythm. the escape from work, bills, current events, weblogging, and the tyranny of film [digital or otherwise] was total. and fabulous. + one other note, while i contemplate my approach to work this morning. for the third time this year, i've had the opportunity to use cpr skills for a loved one in crisis. nothing serious this time, but if you love your friends and family, one of the most caring things you can do is simply go out and get certified. 1. the new mexico desert is as green as i've seen it in years, from clines corners down 285 to fort stockton. 2. an abundance of pronghorn antelope along 285. 3. i believe the car wash put some sort of wax on my windows, negating the need for wipers in downpours. everything beaded and rolled off, even at high speeds. convenient. 4. when it rains in carlsbad, new mexico, the intersections are rivers. you float across. lightning traces across nearly half of your vision range, looping in great swirls from west to east before contacting ground. thursday night was a spectacular light show. 5. there were lots of opportunities for a texas seven-course meal [armadillo and a six-pack]. 7. texas department of transportation trucks will rat on you, if you're speeding, to awaiting state troopers in sleek pursuit vehicles. 8. austin, texas is *still* growing. 9. when my brother drives you to town via spicewood springs road, make sure you haven't eaten first. 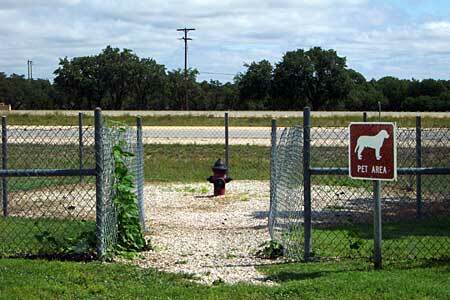 10. west of fredericksburg, texas, they have switched to raising goats. goats everywhere. 11. i haven't fully appreciated the absence of mosquitoes in new mexico. 12. july 4/5 is a ufo festival in roswell, for those who might be interested. they have an abundance of glow-in-the-dark inflatable aliens for sale, if you can't find the real thing. 13. lying in the back of a well-windowed minivan, with seats removed, watching the sky roll by as someone else drives, is a supremely relaxing experience. 14. someday, maybe, i'll be able to drag one of the great old 50's pickups [or old woodies] out of the junkyards that each small new mexican town seems to have, and restore it. 15. also, i need to do a 'disappearing new mexico' photographic trip. i was noticing the gradual fading of old signs ... painted-on signs, wooden signs, false-front stores rotting away. 'j.c. penney, catalog merchant.' 'drive-thru gnocchi' [in new mexico? ], 'boots reheeled while-u-wait,' etc. 16. forget sars. restrooms, specifically at gas stations, are the major health hazard in america. 17. there ain't nothin' like just relaxing, with extended family chattering about, in the cool of a texas evening.